Unit plans are one of those things that we often consider nice to have if the district provides it. Unfortunately, not all districts provide this, especially with the frequent change in standards. 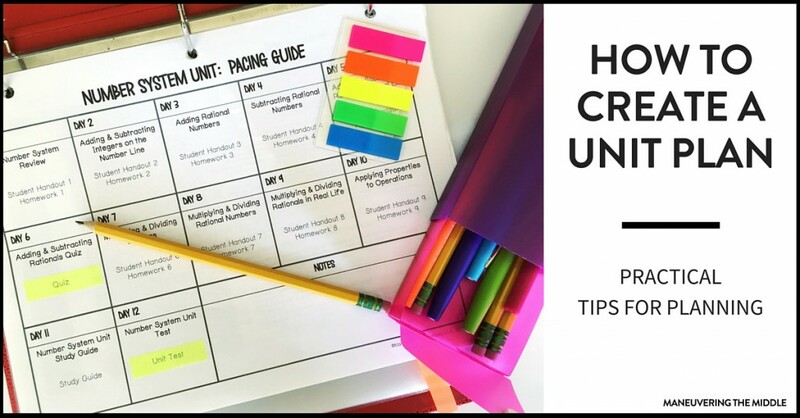 Today, I am sharing how to create a unit plan that is both useful and practical for you and your students. 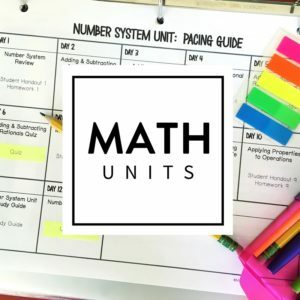 What Does a Unit Plan Consist of? Planning is time-consuming; I think we are all aware of that. It seems that a unit plan is just more work on top of actual lesson plans, but I really like to think of this as front-loading the work. What is the difference between watching a cooking show and actually cooking? It’s the prep work. You rarely see Rachael Ray or The Pioneer Woman chop anything. The ingredients are all set out and ready to go. When I cook, it looks much different. I am reading the recipe, trying to grab the ingredients, and realizing that it takes much longer to chop all of the vegetables than I have allotted. Frequently, I am missing a spice and improvising. Why? Well, I haven’t given myself enough time to prep. Everyone is usually hungry and irritable as I am willing the food to cook faster. A unit plan is like cutting the veggies, measuring the portions, and preheating the oven. It makes for the actual lesson planning to be faster and more efficient. However, don’t go over board and spend too much time on this unit plan. Keep it practical, by going through the process I outline below. 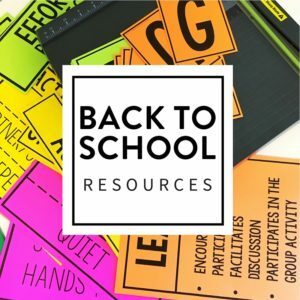 Some official education articles will extend unit plans to include additional pieces, but we all know that there are only so many hours in a day. Let’s keep it real. Sometimes school districts will provide a detailed unit plan, but other times they provide something more vague, like the title of a unit and the number of days you have to teach the content within the unit. I have found unit plans to be incredibly effective in maximizing my planning and scaffolding the learning for my students. I like to begin with the standards and break down the various skills and concepts. Some districts require these to be written as “I Can” statements and used as daily objectives. Even if you are not required to have them, it’s a great idea to post them and share the daily objective with your students throughout the lesson. The idea here is to pinpoint what students should be able to do at the end of the unit. 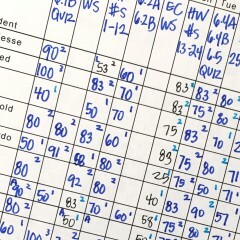 Whether you enjoy giving performance tasks or a written test, determine which way you will assess students. Once you have determined the type of assessment, it is a good idea to write the questions or task. Obviously, this is sometimes impractical. I would love to say that this happened before each unit, but the reality is that it was always a goal. When I did, I was always pleased and more prepared to teach the unit. If you can’t muster getting a test together at this phase in unit planning, it would be beneficial to have an idea of the types of questions you would like to use or to have looked at an example test or released assessment. In Texas, they release the state exam every few years. 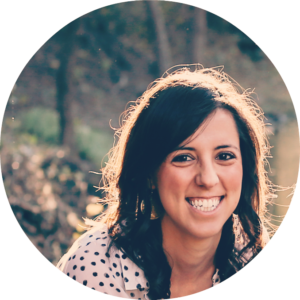 The main point here is that by understanding what the assessment will look like, you as the teacher will be able to better prepare your students. You may be familiar with the lesson planning framework, Understanding By Design, to which this is the core concept. At this point, I grab a calendar and a pencil and begin putting skills on paper. Consider what skills have been learned in prior years and where gaps may exist, so that you can place emphasis and additional time on those areas. Make note of lessons that may be more difficult so that you allow adequate opportunities for students to become familiar with the content. I also include summative and formative assessments on the calendar. At this point, I really like to look at the different objectives and skills and brainstorm how I can incorporate the mathematical practices (in Texas we call them process standards) through activities. 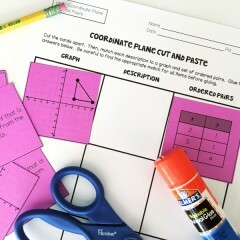 This might mean stations where students are analyzing for the error or a lab on constructing triangles. 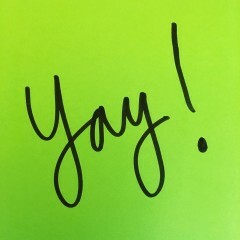 Tip- I really love incorporating one flex day per unit if possible. If not, many teachers shoot for one flex day per month. 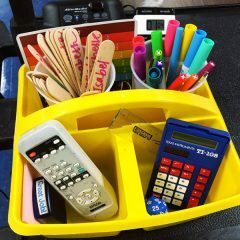 This helps when an unexpected assembly occurs and the schedule is thrown off or when a concept is really a struggle and you need more time. It allows you to have a little breathing room and gives permission to take the time necessary without ruining the plan. If this all seems overwhelming, then you can easily pick and choose a few of the things mentioned and work towards incorporating those. 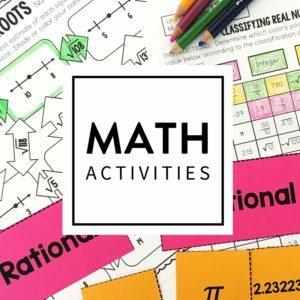 If you are short on time, you might be interested in my middle school math curriculum units which incorporate the things mentioned in the post. Am designing my own unit plans for algebra1 , 2 and precalculus ..
Was wondering if u had any valuable input for anynof those..
Wow, you have quite the task Arshia! The best thing I would recommend at that level is taking the vertical alignment between the three into strong consideration and making sure that Algebra 1 gets a strong foundation. 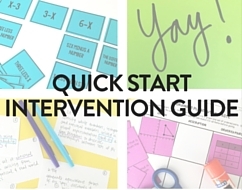 This gives me an AWESOME insight in a very simplistic checklist style of planning units! I am in my final year and about to graduate from Teaching and I really wish I was shown something simple like this from the beginning! I am open to some tips and advice about general teaching. Have you anything you wish you knew back in college/University?? Oh, I am so glad this post was helpful! Congratulations on such an accomplishment! Keep reading and thinking about your future classroom and students. I think I wish I had been less idealistic in my planning and more concrete with those procedures and routines. Stay consistent and students will respect that and know what you expect. Best of luck! I love your Unit plan template. Where can I find it? Hi Melissa! The unit template is a very simple calendar format. 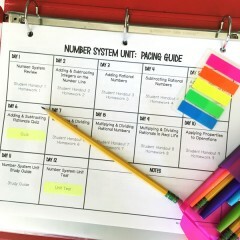 I include the pacing guides in my math units and year-long curriculums. At this time I don’t have a template available for other subjects, but I will add that to my to-do list. 🙂 Thanks! I would also love a copy of the blank unit planning template!! 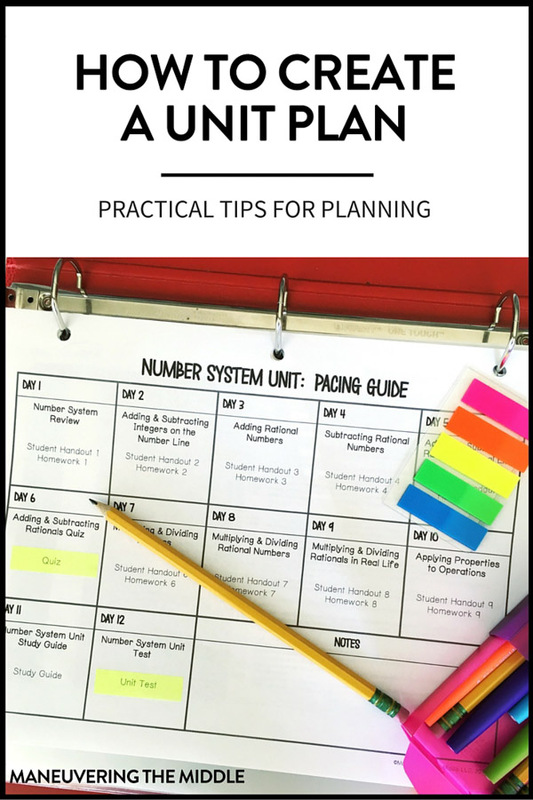 I love this simple idea of unit planing!! It’s going to my year easier!! Do you have a template for this unit plan you have here? If you do where can I find it? I am a new teacher. I am teaching 8th grade science and have yet to figure out a good way to plan ahead. I am really struggling. I thought about trying this unit plan! Hi Mica! I don’t at this time, but I can for sure add that to my to do list. Thanks! I would love a blank copy of this template! Please let me know if you make it available 🙂 I teach 6th grade ELA. Hi Brittany! I keep getting this question, and hope to get to it eventually. Its a super busy time of year, but I will do my best! Same! I’d love to see it in your TPT store! I was just looking for the 6th grade Endless Bundle but its CCSS! Do you have one for TEKS? I’m in Texas and my district doesn’t like us to use CCSS material. Hi Beth! Thanks for the question. At this time it is aligned to CCSS, but has a huge overlap with TEKS. The main difference are the personal financial literacy standards. If you have more questions, please feel free to email me or contact me on the site and I can provide more specifics. Thanks! WOW! This is very helpful. I wish I read this while reach ELA for 6th, 7th, and 8th. 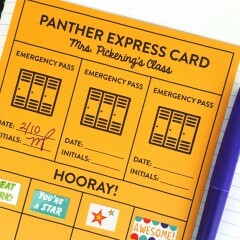 This will help me streamline my lessons for my upcoming year. Do you have a template you use for unit planning? I am need of one!!! Not at this time, but its a great idea! Do you share your Unit Plan with your students? Since my unit plan can change based on the needs of my students or a variety of other reasons, I don’t share my unit plan with my student. I do share when we have quizzes and when the summative assessment is.